You, know what? The Kindle has been by far the most used accessory on my holidays. As life got busier though, it became a little forgotten, as I seemed to do less and less relaxing and reading while on vacation. It occurred to me to use the Kindle for kids, not just any kids, my kids! And see what they think of it. So I got Jasper, my almost 9 year-old to review it on our last holiday and discover how will a Kindle for kids occupy yours when you are traveling. I use a Kindle Paperwhite and it is preloaded with about 1000 of my books. I bought mine from Amazon and it has so many amazing benefits of use, for me as well as the kids! I collect Kindle files from my friends and always carry around a USB for just this purpose! This ensures I always have something to read. Where else do you get your books? 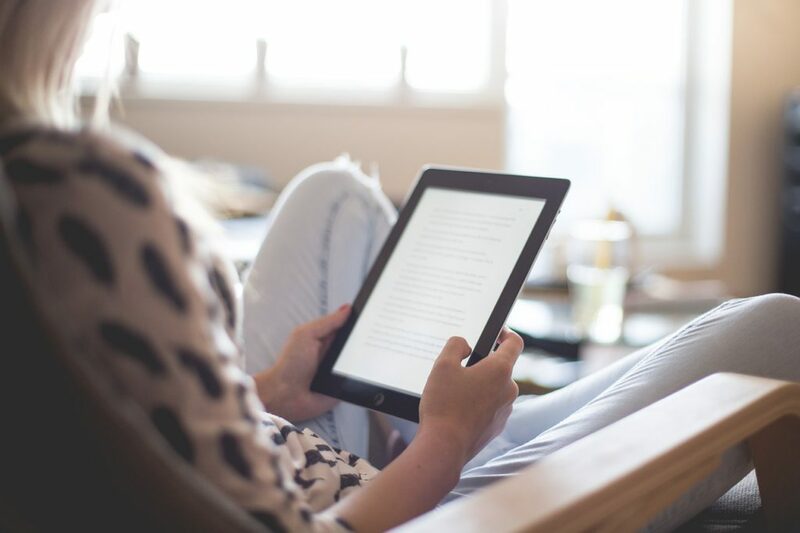 The Kindle connects to wifi and is linked to your Amazon account so you can download new books whenever you need at one simple touch and because your payment details have already been verified, you don’t have to re-enter anything. New books take mere seconds to download so you are on your way into a brand new story before long! I let Jasper browse the Amazon store for a book to download and (with some gentle direction) he came up with the first Harry Potter book. Now, we have these books at home, but the kids refuse to read them because they say the writing is too small. No problem! With the Kindle Paperwhite you can change the size of the font so that little eyes are able to read with ease. The Kindle’s screen is backlit but it is not blue light. Studies have shown that blue light emitted from tablets, smartphones and computer screens effect your natural production of melatonin which is a hormone required for proper sleep. So reading on the e-reader is actually encouraged before bed! The back light was great, eliminating the need for a flashlight or lamp, and letting Jasper reading into the night without disturbing anyone else. The touchscreen is just amazing. It reads just like paper and is gentle on your eyes, with no glare even in bright sunlight. It’s operating system is an easy to use interface and touch controls makes navigation between books and pages simple. The battery on the new Kindle will last up to 4 weeks! Amazing! And it has a sleep function which so it will turn itself off after a period on inactivity, preserving the battery even more. The Kindle encourages the kids to read. Amazon’s tagline is ‘it’s not screen time, it’s book time!’ and I really find this to be true. There are no games or apps on the device, it’s all books and the selection of the books available is virtually infinite. Another awesome function is the way the kids can use the built-in dictionary to look up words they don’t understand. Simply touch a word for a second and the definition will pop up. And you can highlight your favourite sections to save for later. My kidsz absolutely loved it. At nearly 7 and nearly 9, the boys loved taking turns reading the Kindle. Jasper would not put it down until he had finished Harry Potter and the Philosopher’s Stone and we have just downloaded the second edition. The books are so cheap compared to real paper books and you can store thousands on one Kindle thanks to up to 4Gb of interior storage. Not to mention the weight and the size of the thing. 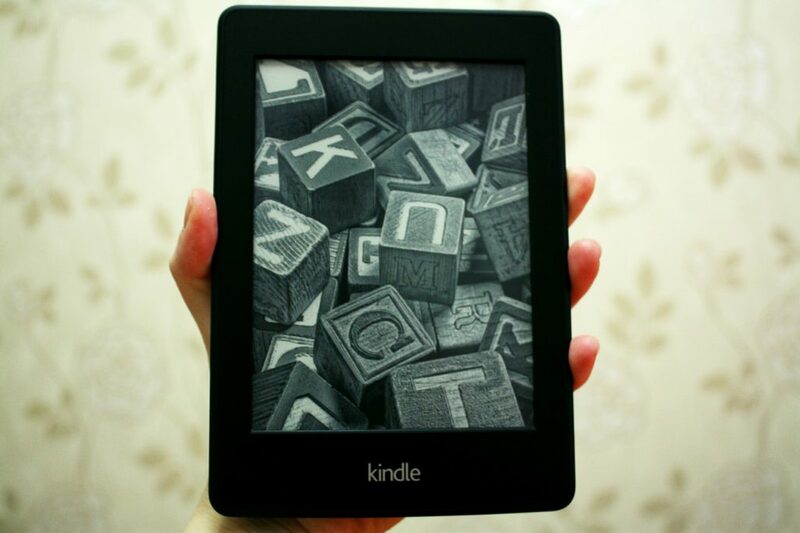 Kindle weighs only 160grams or 5 to 7oz no matter how many books you have stored on there. It is available in a 6″ or 7″ screen size. The must have accessories when the Kindle is for kids, is of course a cover. I have a hard backed leather cover which closes with a magnetic latch and magically turns the machine off when it closes and on when it opens! A USB charger is included. I really like the way you can light it up and change how bright the light is. It is hard reading with a torch in bed. It is fun to shop for my favourite books and change the size of the writing too. It is just more fun to read books on this Kindle instead of a book because look, you just touch it here to turn the page! Love this Info! I have 4 kids, 3 of which between 9-13 and they love to stuff their face in electronics, so why not read. I think it’s much easier to get them to do this, than go to the library. Hi Michael and thanks for stopping by. I am a big fan of the e-book, as you can probably tell. 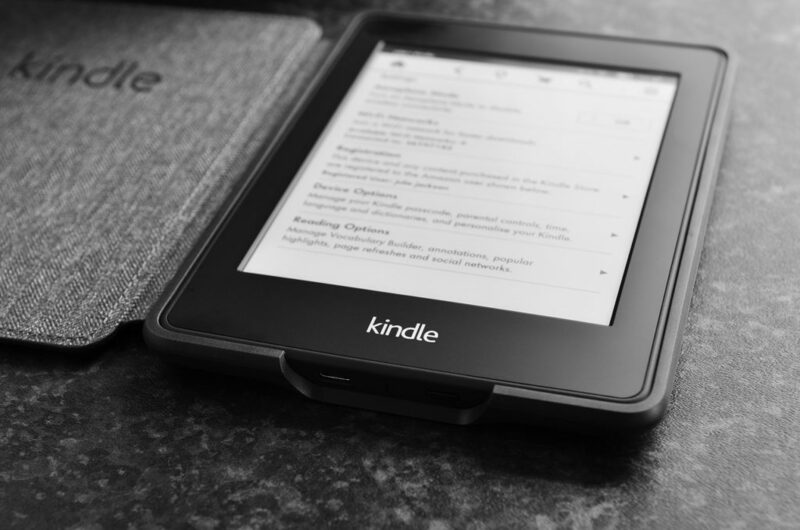 Do you use a Kindle or a different brand? Great Post! Having 4 children that love to have their face in electronics all day, why not read while looking at the electronics instead of youtube and games. I know kindle will work much better than bringing them to the library and taking out or buying books. Hello, With 4 children and the pile of books we had been borrowing from the local library, it was such a huge task locating them all when it was time to return them! I love the Kindle for the fact that everything is in one place. Kindles rock for kids. Since we live in Guatemala, it’s not always easy to find great English books for kids. Buying on Amazon definitely helps out with that and I’ve bought the kids tons of books. It makes it so easy to read wherever you are. I use it for myself, too, traveling or not. I’ve been trying to get some of my kids at school to read more and while books are great, I could see that they are more in-tune with digital products. The only problem, like you mentioned is the distraction that comes with internet browsing and such. I’ve never really considered Kindle as a reading device for kids, but your article has made me think twice. I’ll have a chat with some parents to see what they think. Glad to help Cathy. I really think its a game changer hey!